"Tired" (cropped) by Bianca Moraes, used with permission under CC BY 2.0. Source. Our society glorifies busy. It gives high fives to those who burn themselves out in the name of good work ethic, showing up for the team, or proving allegiance to their colleagues. Sure, sometimes there may be a special project that needs our undivided attention for a certain span of time. And, sometimes there’s a certain level of hustle that needs to happen to energize the outcomes of our passionate endeavors. But, what if you’re so busy all the time, that you’ve forgotten what downtime is like, and your body’s sympathetic nervous system is so frazzled that it can no longer tell the difference between “fight or flight” mode and real life? That’s a dangerous place to be. Not only for your physical health; but, it’s also a quick way to Breakdown Hotel! Your body feels like it’s always trembling or slightly shaky, even though you’re not cold. Although you’re thoroughly exhausted and wasted, you can’t go to sleep. You’re “tired and wired”. Even if you get a full night’s sleep, you wake up feeling exhausted, and could easily sleep for the next couple of days. You feel like crying, or bursting into anger, at the drop of a hat. Your short term memory is shot. Your whole body feels tight or hurts, especially in your back and neck, and it’s not due to your workout or physical trauma. You are breathing shallowly, or having a hard time taking in full breaths. You have difficulty tapping into your personal wisdom, or feeling disconnected from yourself. You’ve become apathetic to things you normally care deeply about. You may have increased acne breakouts on your face. High cortisol and/or adrenaline levels. Cortisol, otherwise known as our “stress hormone” steps in to help us handle our stress. Adrenaline is our “fight or flight” hormone. Both of these hormones are activated by our adrenals. These helpful hormones help us get out of stressful situations. Fast. They are meant to be used on a short-term basis. Unfortunately, for many, triggering these hormones in eternal cascade, due to constant stress mode, drains our adrenals. That belly bulge that won’t respond to exercise and diet, and that’s the only bulge you’re battling in your body? That could quite possibly be due to heightened cortisol levels. Reduced immune system. Stress lowers the immune system, and sustained amounts of stress suppresses it for a certain amount of time. When our immune system is low, that leaves us open to constant or lingering colds, or other infection. Increased chance of panic attacks. They don’t call it a feeling of “impending doom” for nothing. Anyone who’s ever had a panic attack will tell you that this feels absolutely real. Not only is it a terrifying feeling, but it is a sign that the body’s response system is overloaded. Energetically, this is a time where we are feeling disconnected from our Heart. Increased chance of high blood pressure. Being in a constant state of high level stress increases the blood pressure. Of course, eating loads of table salt in your food doesn’t help, either! Although Acupuncture and Reiki are effective ways to reduce blood pressure, lifestyle changes, from dealing with sources of stress, and watching your salt intake, are the first places to start. On a personal note, high blood pressure tends to run in my family. I was able to reverse my borderline hypertension with 3 things: managing my stress levels big time (particularly through regular meditation practice), ignoring my Seamless account, and cooking my own meals (and using pink Himalayan salt instead of any other salt). You become thoroughly disconnected from your self. At first that doesn’t sound like a big deal. You can get through life being totally disconnected from yourself, right? Perhaps you can at first, but it’s not sustainable. Why? Because when you’re thoroughly disconnected from yourself, you are not tapped into your intuition, your Inner Wisdom, what your Heart wants, and your alignment with your Highest Self. What does this look like on this physical plane? 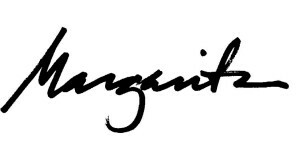 It looks like: making the wrong decisions, increased stress levels due to not knowing what to do in certain situations, lacking trust in your life, yourself, and others, strained relationships with partners, family, and friends, and inner turmoil that bleeds into all aspects of daily living. Nope, being disconnected from yourself ain’t pretty! 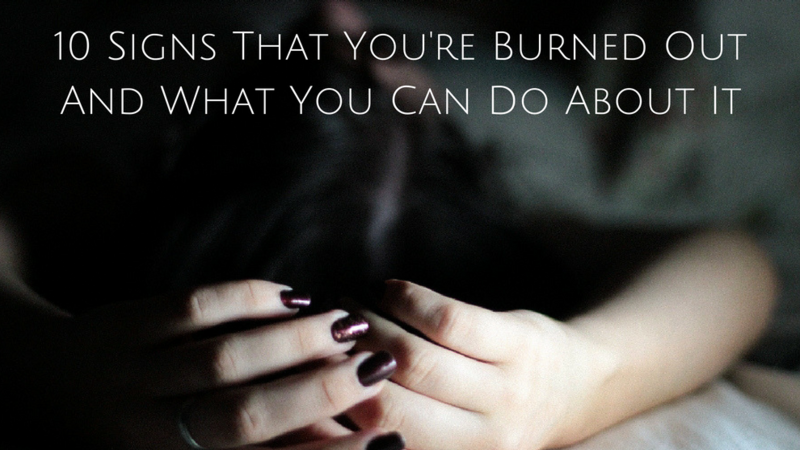 Fortunately, there are various things you can do to salve the symptoms of burnout! Re-evaluate your sources of stress and whether or not they serve you. Does it REALLY serve you to be in a job that doesn’t give you enough time for bathroom breaks, keeps you at the office past your bedtime, or chips away at your soul? Or, is a toxic someone in your life a constant presence? We often enter situations, meaning to address some issues along the way. But, when we never get to them, and our life is starting to spin out of control, it’s a sign to take your life back! The only knight in shining armor coming to whisk you away from all of the craziness is YOU. Start with tiny, manageable shifts. They will create enough change and impetus to start contemplating new cycles that you’d like to instill into your life! Make rest a priority. If you need to take a “mental health day” from work, then that’s what you need to do! When you’re burned out, your body is in dire need to recharge and repair. Help it do what it needs to do. If you need to take a technology fast, and put your electronic devices on silent for a moment, then make it happen, captain! Build your Blood & Qi. In Chinese Medicine, when we’re stressed, we lose a lot of Blood and Qi, both elements of body vitality that flow together in our veins. Great ways to build Blood and Qi are: eating things like beets, black beans, black sesame seeds, black strap molasses, bone marrow (I have a great recipe for bone broth here), goji berries (also known as the Chinese medicinal herb Gou Qi Zi), organic free range red meats, organic free range liver, acupuncture, and certain Chinese herbal formulas. Drink nettle infusions. Nettle is an excellent adrenal builder. It is extremely nourishing, and it’s like drinking straight from Mother Earth. It’s chock full of deep nutrients and minerals. One cup of nettle infusion has 500mg of calcium plus generous amounts of bone-building magnesium (which is also great for stress management), potassium, silicon, boron, and zinc. It’s also an excellent source of vitamins A, D, E, and K. Get the lowdown on how to easily make your own infusions here. Ditch the sugar. Sugar containers should have skull and crossbones on them, for real! It is highly addictive, since it stimulates the brain the same way that opioids do (check out a study here). It also shoots up the inflammatory response in the body. I’ve seen patients manage their chronic pain more effectively when removing sugar from their diet. Reboot your sympathetic nervous system with Acupuncture. Get your Qi on with some meridian flow! Acupuncture helps to ground your system’s energy, and there’s even an ear acupuncture point to help reboot the sympathetic nervous system! In fact, it’s included in an ear acupuncture protocol called the NADA technique, which is often used in hospitals and harm reduction agencies to help people in recovery from addictions, or who are healing from PTSD (Post-traumatic stress disorder). Regroup your center and cleanse your chakras with Reiki. Does the thought of Reiki make you think of a bad Stevie Nicks video? Fear not, Reiki is actually much more tangible than you think. And, quite powerful, too! Energy may not be visible, but it is quantifiable. The technique is simple, a gentle placement of hands on chakra areas to channel Universal Light exactly where it needs to go. In a Reiki session, you are the actual healer, because it is your wise body that knows (no matter how frazzled it is) how much to take for optimal healing. Think of it as a “soul massage”, working out energetic kinks so that you release what no longer serves you. Reconnect with your joy and what brings you pleasure. Remember what makes you laugh, and what brightens you up. Give yourself permission to allow pleasure back into your life. I give some pointers on how to rediscover that, here. What techniques have worked for you when you’ve been burned out? P.S. Yahoo! 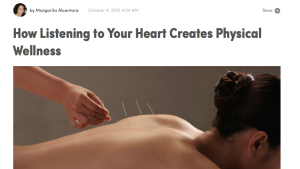 MindBodyGreen published my latest article, this past Sunday, called, “How Listening to Your Heart Creates Physical Wellness”. I even have a little anecdote that includes my father. Please check it out, and let me know what you think! Margarita, Yes! First, Congratulations on your MBG publication! It’s so awesome to see you featured on that large stage! Second, thank you for this post! I feel like I say that all the time because I resonate with so many of your posts, and the timing is just uncanny! I had a big ‘aha’ moment last night when I realized that my default orientation toward work was stress. Then I realized I learned that behavior, having bought into this idea that to be a ‘serious’ career person, one has to be stressed. So the pattern was to create unrealistic expectations for myself, then stress out, then live in constant guilt/shame/inadequacy for not meeting enough of those unrealistic expectations. Your post today really lays out the physiological toll of chronic stress and, as always, you provide needed tools for healing and recovery. Ah! Thank god for you! With my new awareness, I choose joy and I choose gratitude as my default vibrations. Any moments of stress will be the exception rather than the rule. Thank you again! I’m off to do some healing and self-care. Hugs! Thanks for the well wishes! Much appreciated. How wonderful that you were able to create some deep mindfulness around your body’s reaction to stress at work, as well as some meaningful shifts around more sustainable (and self-loving) practices. Congratulations!